I’m about halfway through with this fun little Texified thriller – and let me tell ya – it’s downright addictive! Somehow this author found a way to mesh a super creepy ghost story with hilarious hijinks without getting too cutesy. Plus it’s set in the gorgeous Texas Hill Country, so I’m an instant fan! On a side note, in her acknowledgements, she thanked my former internship supervisor, Jayme Blaschke, for helping her research Texas State University’s body farm. Never have I been so proud of my alma mater! 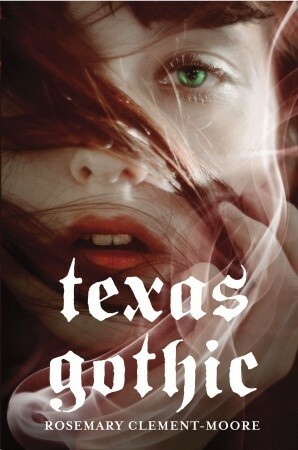 Posted on November 6, 2012 by Bubble Bubble Books and Trouble •	This entry was posted in Features, Teaser Tuesdays and tagged Backyard Saints by Joshylin Jackson, Rosemary Clement Moore, Teaser Tuesdays, Texas Gothic, Texas State University body farm. Bookmark the permalink. ← Gizzy’s Portrait has Arrived!